You can expect to be transported to the finest European hotspots each Friday night. We will be mixing up our live entertainment each week and our own The Cobbler's Last will be spinning decks and shining shoes late into the night. Don't forget the roaming entertainment each night too. 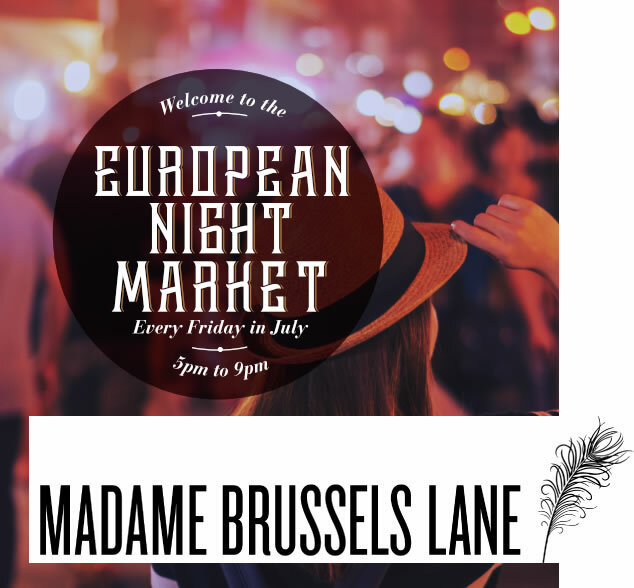 So lock it in your diaries and head down Madame Brussels Lane Every Friday in July 5pm - 9pm.